The goal of the Feel Your Boobies College Outreach Program is to provide FREE educational resources college health centers nationwide to increase breast heath programming on campuses. The foundation’s College Outreach Program focuses on Educating, Engaging & Empowering young women on college campuses by providing FREE educational resources and peer-to-peer programming to them. Since the program began in 2012, our program has worked with nearly 500 campuses across the country. 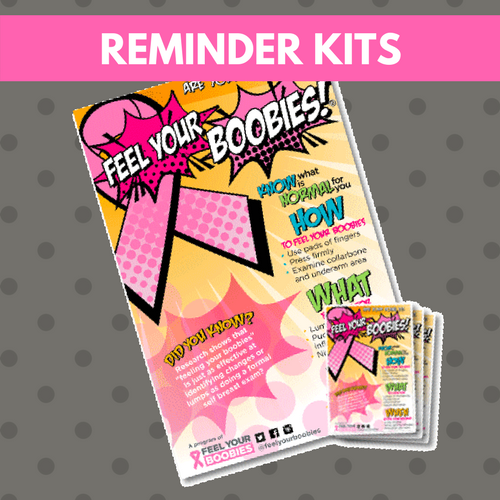 1) Poster/Post Card Kits: These print materials include information about what to look for when "feeling your boobies". The kit includes 2 large posters and 100 post cards. 2) Bulletin Board Kits: This kit is a downloadable zip file with multiple printable resources for use in creating an educational bulletin board focused on breast cancer facts & breast health. The goal of Bras Across Campus® is to provide students with the leadership experience of executing a health promotion event on campus focused on proactive breast health. Through Bras Across Campus®, students become the message spreaders by reminding other students (in person and through social media) to "feel their boobies". The goal of Feel Your Boobies® Day is to provide a structured and educational tabling model for student organizations. By leveraging mobile platforms, students can complete a “self-check”, watch videos, and post a “selfie” on social media to share the “feel your boobies®” reminder with others. 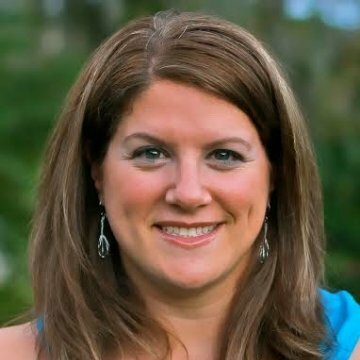 In 2017, Alli Matson joined the Feel Your Boobies team as the Manager of Program Development. She oversees the College Outreach Program and works directly with colleges and community members to improve the educational resources we provide. Alli has nearly two decades of experience in the field of health education. She was previously the Coordinator of Sexual Health Education Programs at the University of Maryland - College Park and brings a deep understanding of public health practice and college-based programming to the Foundation. Please contact Alli at alli@feelyourboobies.com with any questions you have about bringing our College Outreach Program to your campus.